I didn't respect the race. That's the bottom line. 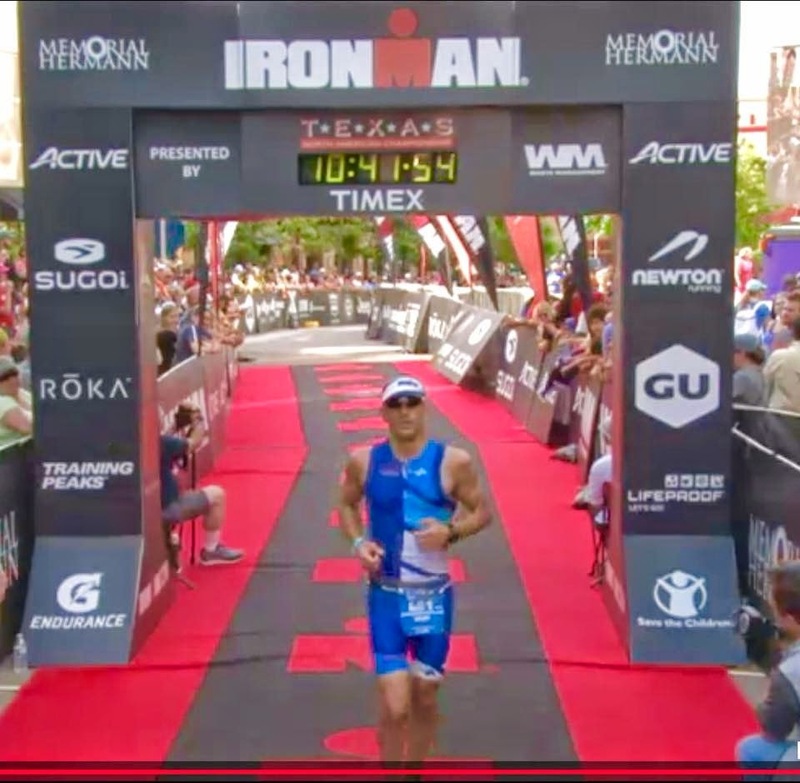 The first two Ironmen I raced I stayed within myself and accepted the fitness I had. I therefore executed great races. For Texas I did a few things wrong which led to a very painful day. This is the nature of the race. It's a long day, and if you don't have respect for it, if you try to outrace yourself, if you try to control what you can't, it will tear you down. I learned some valuable lessons this past weekend that I won't soon forget. What's funny is that I thought I already knew these lessons. In my mind I would tell myself to "race my race", or "stay within myself", but deep down I had certain expectations that I wanted to achieve. It's dangerous to set expectations on a race like this, because so often uncontrollable variables dictate how we will perform. Thus it is better to go in with an open mind to the "uncontrollables", and to control what you can. I tried to control too much. For one, I was fixated on trying to qualify for Kona. I had specific time expectations for each leg of the race that I felt I had to meet in order to be in contention. 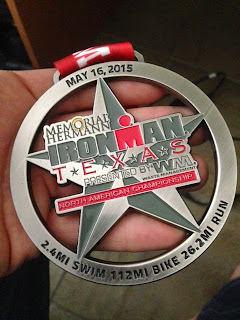 My hope was to do a sub-1:10 swim, a 4:50 bike, and a 3:30 run. I felt that this would get me close based on results from previous years. Again, this was a mistake to think this way because of the "uncontrollables". My attitude should have been, and should always be, to race the best race I can on any given day. To execute my best swim, my best bike, and my best run without setting expectations. And if my best happens to be good enough on any given race day, then I will be fortunate enough to join the best athletes in Kona. In a race like Ironman, it's important to focus on the positive aspects of the race, and at this race there were many, despite my inappropriately high expectations. And now that the race is over, that's what I choose to focus on. If I get down about what could have been, or what I missed out on, then I am not honoring the nature of this sport - that we can transcend doubt in ourselves and overcome significant challenges. 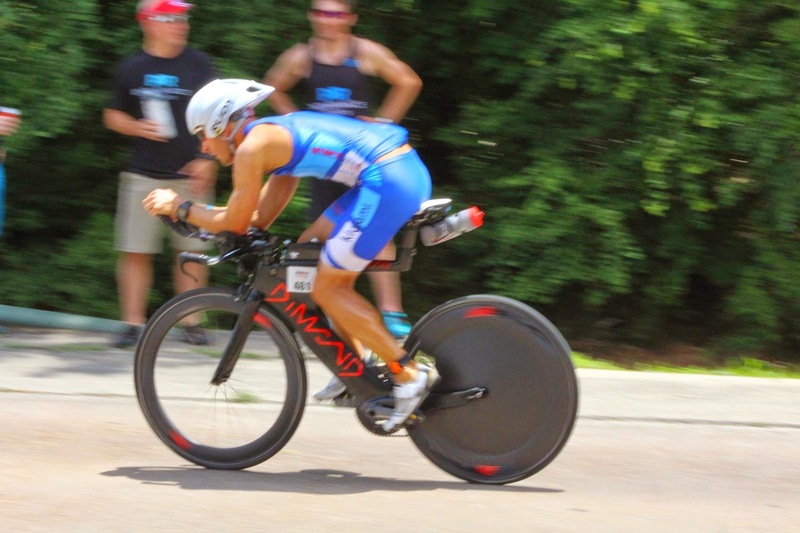 It is not about finishing in a certain time, or qualifying for Kona. It is about finding out what we are capable of, and being the best we can be. I crossed the line on Saturday, so I too was victorious. I am fortunate to have coaches with Smart Triathlon Training that can help me to be my best, and to regain my perspective after a race. Thanks to Luis, Diana, and Kelly for getting me to the finish line! I flew into Houston on Wednesday before the race and got my Dimond all unpacked and put together. Once again, the Hen House got my bike to the destination without bike fees. If I fly enough, not only will the bags be paid for in saved baggage fees, but so will my Dimond! The weather in Texas was pretty wet leading up to the race. Very rainy in the afternoon, but overall the air felt comfortable. I knew that I was well prepared for the heat of Texas. At this race we would have the opportunity to do a practice swim on the Friday before the race. This was absolutely necessary for me, since it would be my first non-wetsuit race. I had convinced myself that I was confident in my swim, but in my heart I was still very anxious. It was still a big fear of mine to be out in the water swimming with hundreds of other people without the security of neoprene. The water was very murky to the point of not being able to see much beyond the goggles. This meant that being aware of other people around me would be difficult, so I would be getting to know strangers very personally. So personally, in fact that, without the relative anonymity of the swim, would have me arrested for indecent activity. My apologies to all the people I inadvertently violated. Within about 200 yards of the swim I had a minor panic attack that left my trying to float on my back and failing. I realized that with the chop, I wouldn't be able to go to my back and relax. I would have to keep swimming and relax that way. Sure enough, after a few hundred yards I felt relaxed and in control of my swim. After the swim, I checked my watch to see how I did and was very disappointed to see that I was swimming about 1:57/100. How was this possible? It really weighed heavily on me, and I wasn't sure how I could have possibly swam this slow. My average pace in the pool is about 25 seconds faster per hundred for a similar distance. I chalked it up to a glitch with the Garmin and moved on to check my bike and gear in. Racked and ready. Always bring protection! The night before the race I slept surprisingly well, and wasn't really too nervous when I got up. I had my typical breakfast of blended oatmeal with a banana, flaxseed, and a bit of almond butter (one at about 3:30, and another at 4:45), and headed out to the race site. Parking was easy, as I think I was one of the first ones there. I parked in a lot right next to the finish line, which was one of the smartest things I did all day. I hiked to the transition area, got my tires pumped up, made sure all systems were go on the bike, and trekked out to the swim start, about a mile away. Ironman Texas has the best toilet situation out of any race I've been to. There were plenty of porta potties, and very short lines. It was easy to flush out my nervous stomach. As I was getting body marked, the man marking me asked if I was going to wear a wetsuit, and I hesitated for a moment. If I were to wear a wetsuit, I would be forfeiting any chance at a Kona slot or awards. Also, if I did wear a wetsuit, what message would I be telling myself? That it was somehow okay to take the easy way out? That I was going to let fear win? That I didn't trust my training? "No wetsuit", I said to the guy. I got into the corral, standing behind the 1:00 to 1:10 seed (as I was expecting - read "hoping" - to finish in under 1:10. Surprisingly, the corral was very empty in the minutes leading up to the race. I had thought we would be packed in like sardines, but that was not the case. The minor panic attack from the day before began to get to me again, but I suppressed those thoughts as I looked around at all the people racing today. Each of them had stories, fears, and anxieties. Certainly I could manage mine. When the cannon fired, the age groupers went off. It probably took about 5 minutes before I was in the water and starting to swim, sans wetsuit. Immediately, the visions of the practice swim returned to me and I lost my confidence. At about the same point as in the practice swim, I had a panic attack and turned to my back. It probably lasted about 30 seconds, but it was an overwhelming feeling of anxiety. I had just struggled through 200 meters, and I was now very aware that I had 3600 to go, and it wouldn't get easier. After 15-20,000 yards per week of swimming, this should be second nature to me by now. Why couldn't I just put one arm in front of the other and crawl through this? I've done this plenty of times! It's pretty demoralizing that I have been doing this for a few years now and I still let this fear get the best of me. And with that, I got angry at myself. I told myself to sack up and start swimming again. I would not let the fear take over. I would let go and release this fear to my higher power. And that I did, and I immediately began to feel comfortable again. Any time I began to feel anxious, I would say a quick prayer of gratitude and get back to swimming. My little diva moment probably cost me a couple minutes, but it wasn't much. After that, I was turning over well, and very focused on my form. I "thought" I was swimming nice and strong, if not a little off course a few times. For most of the swim, I hugged the shoreline quite a bit to stay out of the crowds. Since I breathe to my right (the direction of the shore) I tended to drift into the little inlets and had to correct pretty often. In retrospect, this probably cost me quite a bit of time. As we entered the canal, I was amazed to see that I was alone in my own little pocket of solitude. I had expected that once the swim funneled into the 10 meter wide canal that it would naturally become more crowded. But I couldn't have been more wrong. Add to that that the flow of athletes swimming down the canal created somewhat of a "lazy river" feel, where we seemed to have been helped along by a current. As I got out of the water, I was resigned to the fact that I probably did not meet my goal because I had a little meltdown. I had probably swam a 1:15 or so. Looking at my watch, I was thoroughly demoralized to see 1:22. My worst Ironman swim to date. With all the progress I had made in the pool, that swim time was tough to swallow. My swim times were getting progressively worse at each race. At that moment, I pretty much knew my chances at a Kona slot were gone. My attitude should have been to say "it is what it is" and then move on with my race, but instead I resolved to make it up on the bike. I will say before I go any further that while I was disappointed at the time, I have since corrected my perspective. I had conquered another big fear, and swam the iron distance without a wetsuit. A few short years ago I wouldn't have even dreamed I would be able to do that. My swim will come around, but for now I have to focus on the victories. I faced a fear, and I didn't give up. Into transition, and it was a muddy mess. Still frustrated over my swim, I arrived at my bike, which wasn't hard to find since it was the only one left on the rack. If there was any place I was going to make up time it would be on the bike. I left T2 in a very familiar position, trailing half the field of athletes and needing to put in some work to pass them all. I had deliberately started the swim in the earlier part of the corral so that I could get out of the water and not have to constantly pass people. Unfortunately it didn't quite go as planned. Fortunately, the course was wide enough that passing wasn't too much of a challenge. Great action shot taken by the Dimond Bike guys. Such a fun bike! Immediately on the bike I felt great. I checked my heart rate and it was in the high 130's, which was pleasantly surprising. Usually at this point in a race, it was spiking as I got my racing legs going. With a renewed focus, I drove on, committed to pushing the pace. I went through the first 25 miles in 1 hour. Then through mile 56 at 2:18. That was 6 minutes faster than my Oceanside bike split. The Dimond was performing brilliantly, and I was feeling very strong. It was this boost of confidence that led to my next mistake. I got cocky and let my pride get the best of me. Seeing my half split, I knew I was on track to a rocking bike split. With a little luck, I could save my race. At around mile 60, I was passed for the first time. What I should have done was settle in legally behind him for a while and save some energy. What I did instead, once it was legal, was to proceed to pass him and start "racing". Yes, I pulled away from him, but it would cost me later. I was now pushing my heart rate well above my aerobic threshold. It was way to early to do this. As I continued on the second half of the bike, I continued to burn a bunch of matches making passes as the riders became increasingly stronger cyclists. I was beginning to feel it as we headed into the headwind on the chip seal roads. For the next 30 miles or so, the road would be bumpy and windy. With about 10 miles left on the bike, I decided that it was best to back it off and get my heart rate back down into my aerobic zone. But by this time it was too late. My body was already firmly established in an anaerobic state, and there was no getting it back. 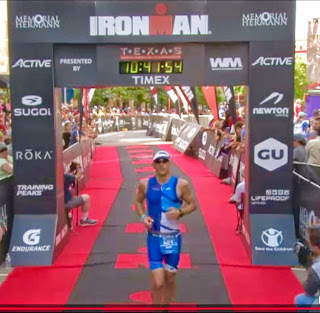 Into T2, and my bike split was 4:51, pretty close to my 4:50 goal, but it cost me a lot of energy to get there. 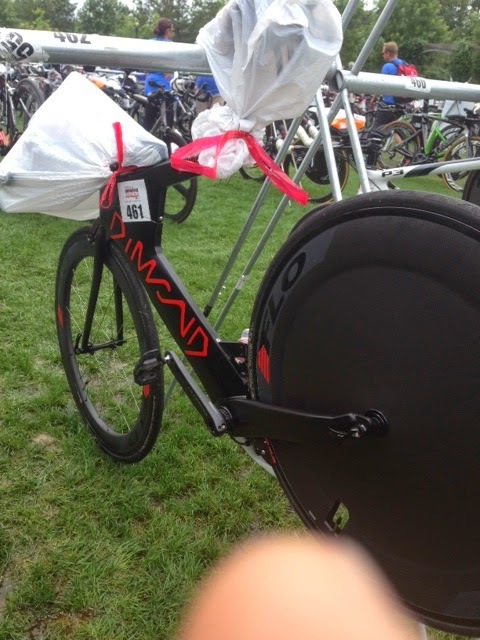 The Dimond had performed superbly, and had helped me to achieve a 21 minute PR for a Ironman bike. Now onto the run. Once out of T2 and onto the run, I felt good and focused on my breathing, which had worked well for me in training. Looking at my heart rate, it was already going well into the 160s, which was too high to start a marathon. I tried to slow it down and keep it below 150, but it wasn't happening. I struggled with this for the first few miles, until I decided to walk a section to try to get it down. I took an inventory of my physical state to see where I was at. The only place that I was having trouble was that I couldn't summon the strength to run for any significant distance. My legs were fatigued. Additionally, my heart rate would spike when I started running, so I would tire fairly soon after running. The good news was that my nutrition was spot on. I consumed 300 calories per hour, and I experienced no GI issues. I was well hydrated, and my mental capacities were in good shape (in other words, I didn't seem to be at risk of heat stroke). So the game became run as far as I could before I had to walk. At this point in the race, this became an effective strategy for me. I would run between the aid stations, walk the aid station to get my heart rate down, and start running again. I would also have to occasionally walk at other times as well. It was hot and humid, but I didn't feel like that was affecting me too much. I had acclimated well, and didn't feel uncomfortable from a heat standpoint. In my first lap, I had the fortune of being passed by the lead female, a world champion, and a world champion runner up. The first was Angela Naeth, who I paced for a few seconds. Second came a while later when Leanda Cave passed me. Then shortly after was Rachel Joyce. As these women passed, I recognized why these women were pros. They were so incredibly strong, and their form was amazing. It is why I love this sport, because a guy like me can run side by side with the pros (for at least a brief amount of time). Throughout the course of the run, I would be passed by many more of the pro women as they finished their final laps, including Kelly Williamson and Heather Wertle. Lap 2 was very similar to lap 1, and I think I even maintained a similar pace. If I was going slow, at least I was consistent. When I passed mile 13.1, I was still under 2 hours, so I had a faint glimmer of hope that I could complete the marathon in under 4:00. I quickly threw that thought out of my head as I remembered that that thinking on the bike had put me in the position I was in now. I then resolved to not look at my watch, and not follow my heart rate or pace, lest I get discouraged. I was going completely by feel. I passed by a few of my Smart Triathlon Training teammates who looked very good. They all had a good day, with two top 5 finishes for Roger Wacker and Rusty Robertson. It's easy to recognize on this course how the crowd support can fuel you. I found myself running much faster and cleaner going through the massive crowds around the canal, but I suffered more on the outskirts where there wasn't much support. On lap 3, the run course was starting to get crowded, and I started to get a new source of inspiration, as I was running with people who had stories to tell. These were the people that were going to finish late into the night, and would have been on the course for 15+ hours. For me, it's hard to imagine being on the course for that long. These people truly have the "never quit" mentality. When I ran into the canal section and got back to the crowds, I had a renewed energy from the crowd support. I ran through miles 22-24 only to walk during 25 again in the last aid station. After I got out of the aid station, I started running again and didn't stop until I approached the fork in the road which led athletes onto the second and third lap. I pulled right into the finisher section and was greeted by tons of people lining the street to cheer on finishers. I looked back and saw that I was once again alone to enjoy the finish line on my own. I've been lucky for the last three races to do so. As I ran through the finish chute, I was greeted by the catcher who brought me toward pizza and burritos. Surprisingly, both of those options sounded appetizing to me. At the Kona rolldown, I knew that the slots would not go 31 deep in my age group, but I wanted to stick around to see how deep they did go. For my age group it rolled down as far as 11th place, with a time of 9:47. This was a far cry from the 9:30 I thought I needed. It goes to show that time goals are arbitrary, and anything is possible. I don't have any resentments about this, as I still came through on a personally challenging day. Furthermore, I found that Kona is still on my radar, when it so happens that I have the race that gets me there. This race wasn't my race to get there. I learned a lot from this race, and I am taking away some valuable lessons. The first is to race within myself, and to accept the fitness I have. I could have had a better race if I had done this. The second is to do more open water swims. I really need to focus on how to translate my pool swim fitness to the open water. Finally, I learned not to get discouraged, but to focus on the positive aspects of the race. A lot went well in this race, despite my best efforts to self sabotage. I swam a full Ironman swim without a wetsuit, a first for me and another fear conquered. I had a 21 minute PR on the bike, thanks to my new Dimond superbike. I had an Ironman PR despite a very tough day. And of course, I crossed the finish line, something everyone should be proud of. If I can continue to focus my attention on the positive, I can have much better races in the future. A few days after the race, and I am already prepared to start training for Boulder, and to apply these principles to my race there. I am looking forward to staying within myself on the bike and actually running the marathon. I am grateful for the lessons I learned in Texas. I'm grateful that I didn't quit. I'm grateful that I was there to see some inspiring people finish the race. I'm grateful that I can look back and focus on another successful race. Ironman Texas may not have been the race I wanted to have, but it was the race I needed to have.